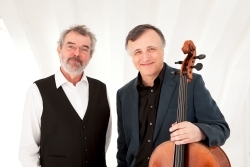 This concert is a birthday celebration of the remarkable contribution to the wealth of music for cello and piano that they have brought to our concert platforms through live performance, and to our front rooms through their fourteen highly acclaimed duo recordings. Raphael is one of the most celebrated cellists performing on the international stage. He was born in London into a family of distinguished musicians, his mother the cellist Anita Lasker-Wallfisch and his father the pianist Peter Wallfisch. John was awarded the International Debussy Prize in Paris in1973 followed by an auspicious début at the Wigmore Hall. 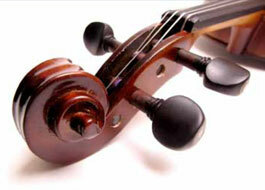 His career has taken him around the world as a soloist and as a chamber music partner. The Alke Quartet was formed in 2011 from members of the Southbank Sinfonia. During 2015/17 they were in residence at the Royal College of Music on the Chamber Music Course. 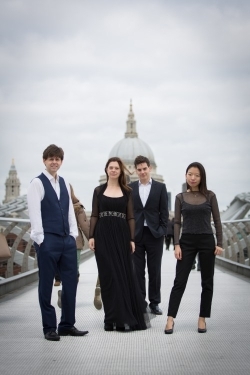 Following their highly successful Park Lane Group audition in spring 2015, they have performed at several PLG sponsored concerts and made their Wigmore Hall debut in March 2017. Finalists in the Bloch Music Competition and St. Martin-in-the-Fields Chamber Music Competition, they were accepted for the International Music Seminar Prussia Cove, working closely with the Endellion Quartet’s David Waterman. In January 2017 they participated in the Winter Residency Programme at Banff, Canada. Joglaresa filled the Civic Centre in 2012 and now they return to blow the dust off medieval song and bring seasonal cheer to Yuletide, romping through the carols of Christmas Past. With fidel, harp, bells, bagpipes and voices Joglaresa ring in Christmas and New Year. Directed by Belinda Sykes, this London-based ensemble has been playing since 1992. They imaginatively push, and often transcend, the limits of what is often thought of as early music. 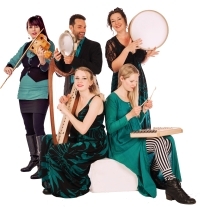 They were the first medieval band to develop a programme of songs entirely devoted to Mary Magdalen, and they were pioneers in programming medieval Jewish and Arabic texts. Formed in 1974 at the Royal Academy of Music they rapidly achieved national recognition and were appointed Quartet-in-Residence by the University of Warwick in 1977, a post which they still hold today. 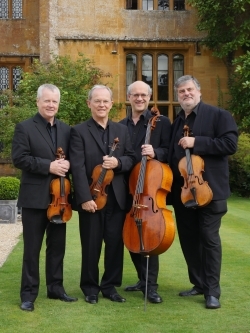 The Quartet, which includes two of its founder members, has performed and broadcast extensively throughout the UK, and has made tours of Western Europe, the Americas, Australia, China, India and the Far East. Since the mid-1980s the Coull Quartet has made over 30 recordings featuring a wide selection of the repertoire closest to their hearts, from the complete Mendelssohn and Schubert quartets to contemporary British music. Emmanuel Bach read Music at Magdalen College, Oxford. 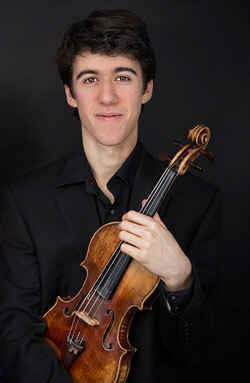 He is taking an Artist Diploma at the Royal College of Music, with Radu Blidar, as a Drapers Music Scholar. Previously, he studied with Natasha Boyarsky. He won the Royal Overseas League String Competition 2018 and is a Countess of Munster Artist. He has played concerti by Brahms, Mendelssohn, Paganini, Tchaikovsky and others; was a co-soloist with Anne-Sophie Mutter in Bach’s Double Concerto and played in a live-streamed masterclass conducted by Maxim Vengerov, on the Brahms Concerto. He is grateful for support from the English-Speaking Union, RCM and HR Taylor Trust.